Happy Holidays to all and farewell to 2013. More fun for 2014. Here is our final Ariki update for 2013. And Happy New Year to you and your team too. Here is the mock-up of the foredeck/anchor well. Looking at the youtube video, either you are a very tall man or that roof is very short. The owners was in and we set the boat up a little for them. She is looking really good! Love the cockpit and those Blue hulls look very sleek. And the ensign is at the wrong end. She is looking beautiful - looking forward to seeing how she sails! Thanks Steve. No one is anticipating splashing more than I. 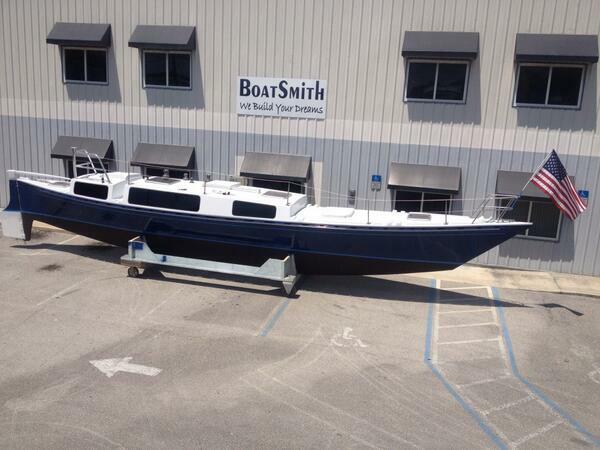 We moved the hulls of our Ariki to Crackerboy Boatworks in Riviera Beach today. Before disassembly yesterday we shot one final video here in the shop. We have launched the boat and attended to innumerable details. Still more to do but very close now. 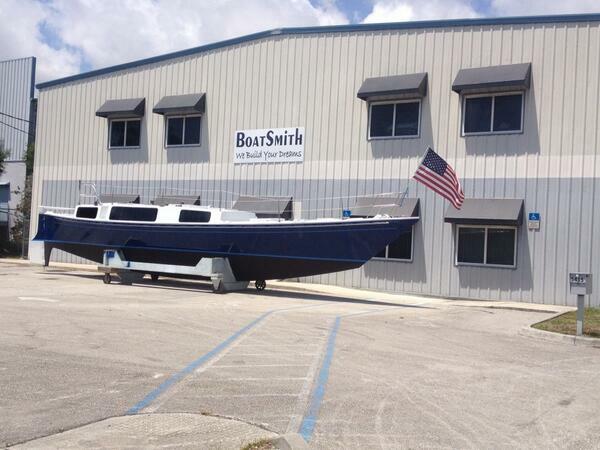 The owner spent the holidays in the keys on Bazinga with his family. The boat worked very well and sailed nicely.